Still on the hunt for the perfect costume? 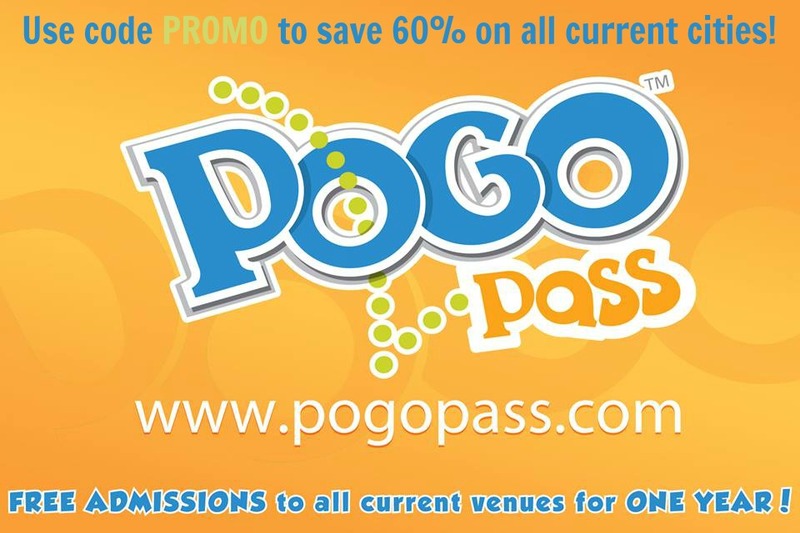 Need something you can pull together with stuff you have on hand or can easily find at the store (or Amazon)? 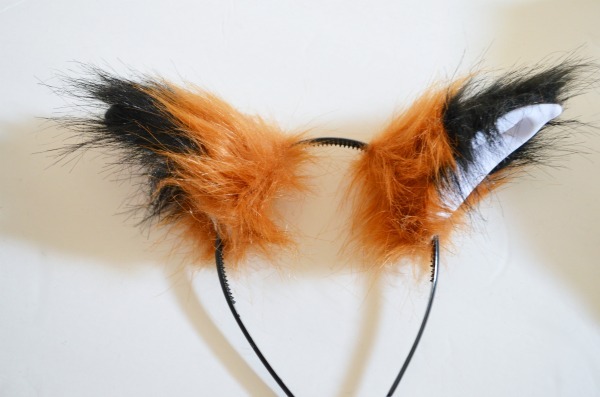 I’m sharing this easy Nick Wilde costume I put together for my son this year. When I started putting together our costumes for the Mickey’s Halloween Party at Disneyland there wasn’t much in the way of ZOOTOPIA costumes. I quickly realized I’d have to DIY these costumes. 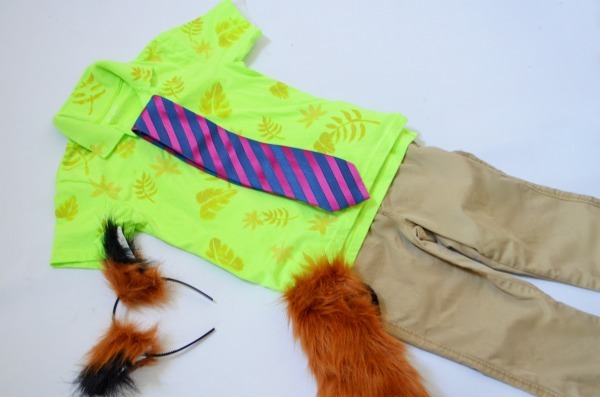 Now while you can definitely purchase a costume online this DIY Nick Wilde costume was pulled together with clothing items and some fun accessories. I love costumes like that because they can be repurposed for future dress up or everyday wear. 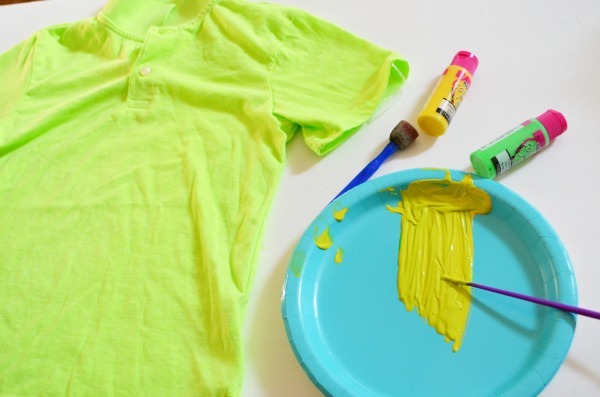 Place wax paper or freezer paper inside your shirt to create a non-stick barrier. This will prevent any paint bleeds from transferring to the other side. 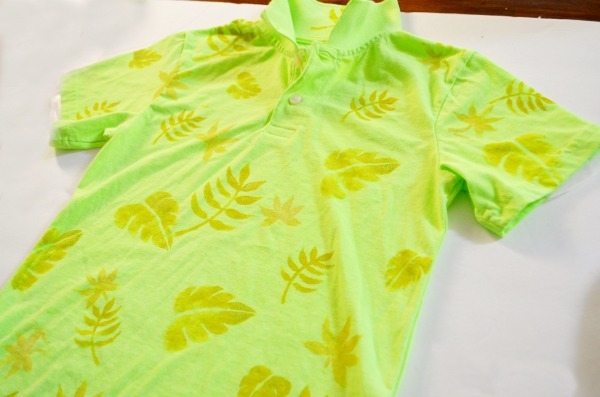 Using your leaf stencil and sponge brush dab a mixture of green and yellow fabric paint onto the shirt. 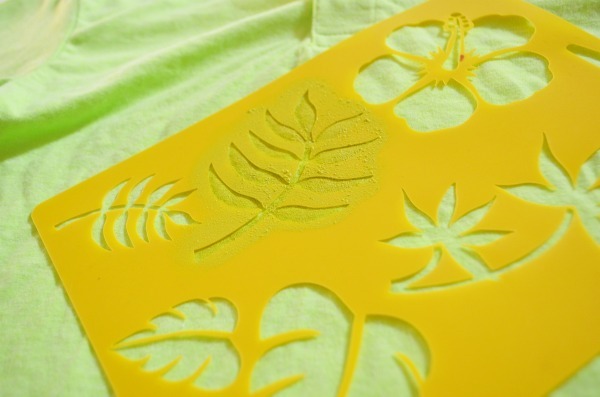 dab from the outside of the stencil inward for a crisp edge. 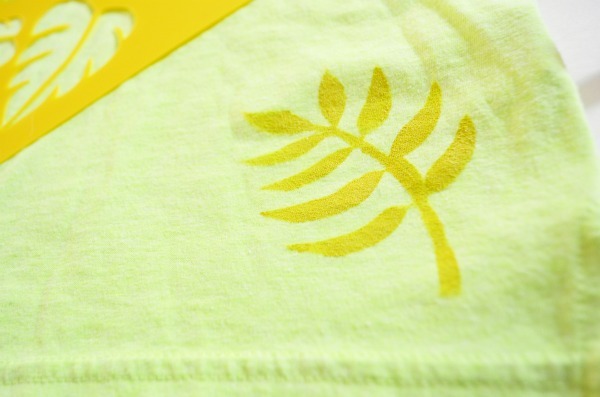 Mix another set of green and yellow fabric paint with a touch of white to your paint to lighten the color, then stencil with a different leaf for a varied look. Allow the paint to dry to the touch, about 30 minutes, before flipping over and doing the back. All that is left to do is wait for your shirt to dry and pair it with a tie, khakis, and your tail and ears. You could of course craft up your own set, but I had trouble tracking down the right color fur at a reasonable price. It was cheaper to alter the tail for my son’s use.